Customer service is a major part of what we do at the Ministry of Transportation and Infrastructure. From maintaining highways to handling development approvals, our goal is to provide the best service we can. Of course, there’s always room for improvement. That’s why we’re asking you to help make us better by taking our 17th annual Customer Satisfaction Survey, open from July 16 to Sept. 14, 2018. This year’s survey builds upon previous years, and includes opportunities for respondents to provide feedback on their customer service experience if they have interacted with the ministry in the last 12 months. Your written feedback provides a wealth of information and like previous years, the survey continues to include an open comment section for you to share more detailed thoughts on the ministry’s services. We’re sending the survey directly to stakeholders and others that we have worked with over the past year, so keep an eye on your email inbox for an invitation to complete the survey. Or, take the online survey now – it is open to everybody and takes about 10 minutes. Additionally, our district staff will be conducting the survey in-person over the summer – you may just spot us at a rest stop during your travels! If so, feel free to stop by and say “hi”. Help us focus our efforts on what matters most to you. What do we need to improve on? What are we doing right? You tell us. Hello, I would like to inquire about the elementary school, St. Francis of Assisi at Victoria Drive and Venables in Vancouver, where there are approximately 130 students from K-Grade 7. There is no signage regarding a school zone. Drivers speed through the area, as do cyclists, with no regard to the safety of pedestrians. How does one go about requesting this area to be an official school zone? The school is not aware how to go about this either, nor does the City of Vancouver inquiry line. Thank you for your suggestion, Louise. We’ve relayed your comment to our local district office staff for review. Here’s what we heard back from our planning staff regarding your question. Thank you for your e-mail suggesting a traffic signal on the Pat Bay highway at McDonald Park Road. Please accept my apologies for the lateness of this reply. The Pat Bay Highway is a critical highway connecting peninsula communities to the rest of Greater Victoria, as well as being the primary connector for ferry and airport traffic. The ministry recognizes the need to ensure the route remains a safe and reliable connection into the future. Should you have any questions about this matter, please do not hesitate to contact Dave Edgar, the ministry’s local Planning Engineer for Vancouver Island. He can be reached at 250 751-3276 or at David.Edgar@gov.bc.ca and would be pleased to assist you. The left turning lanes from Lougheed hwy onto Dewdney Trunk road heading east should be longer. A lot of traffic backs up in this area and there is plenty of room to expand the left turning lane. Thanks for your comments, Ron, about the left turn lanes from Lougheed Highway onto Dewdney Trunk Road. I will share theme with our people responsible for that area. Thanks for your comments about trucks driving on the Pattullo Bridge. The new four-lane Pattullo Bridge will provide important improvements for everyone using the bridge, including wider lanes, separated by a centre median barrier to provide a safer crossing for all bridge users. Construction will begin in 2019 and the new bridge will open in 2023. Once the new bridge is open, the existing bridge will be removed. I asked WHY are big trucks allowed on this bridge in the first place RIGHT NOW AT THIS MOMENT? They are dangerous and a nuisance even if they are not taking up 2 lanes ! These truckers have 2 NEW bridges on either side of Patulla, connected with a NEW highway ! They are doing this to avoid tolls and are more dangerous and a nuisance in the city as well !! The Pattullo Bridge that stands now is owned and operated by TransLink. Please contact them with your concerns: http://feedback.translink.ca/ or by phoning 604-953-3040. BC Transportation and Infrastructure (this agency) will be responsible for construction and maintenance of the new Pattullo Bridge. Hi – I’m concerned about safety on our roads. Here in Mission, BC, we have a plethora of drivers who run stop signs and turn too wide, merging into another driver’s lane with no shoulder checks. Some of the worst offenses occur off Horne Street, heading up onto the connecting road towards the Mission/Abbotsford bridge highway. Lane paint is all worn off, so drivers coming off the Horne St. overpass think they can turn right and swing wide – ignoring the fact that there is a left lane of active traffic. I’ve nearly been hit several times by careless drivers. Also, despite new signage, many drivers ignore stop signs – coordination with the RCMP on this issue would be wise. Thanks for the forum to provide feedback. Hello Lynne – thank you for your comment. We encourage you to share this concern directly with the municipality of Mission and the the local RCMP there. As these are not issues specifically about provincial highways, the jurisdiction belongs to them. Hope that this helps! Hi – my understanding is that these are BC Highways routes. The RCMP have already been notified. Please advise what action the Province will take – I’ve witnessed 3 near crashes over the past 2 days. Could you please connect with staff in our local area office about this issue? They will have a better understanding of the area and issue and should be able to give you more answers. Here is the contact info. Thanks again for connecting with us. I have lived in BC since July 1969. After a twelve year stint in the Town of Jasper, I returned to BC and have lived in Lake Country, BC. This community has literally EXPLODED with new residents, as have Kelowna, and many other communities. I know it is nearly impossible for the Province to ANTICIPATE these growth changes, but I was talking about this back in 2006, as was the School District. Do your departments not talk to one another? Glenmore Road is choked from morning till night with commuters using it rather than the highway. In addition, anyone using the Glenmore landfill uses it, which means all the construction trucks, landscapers, aggregate trucks, and now large numbers of large logging trucks with full trailers. They all think it is a Highway based on how they drive, but it is winding and icy in winter which has caused numerous issues. For those of us who MUST use Glenmore to get out of our neighbourhood, it is a literal nightmare. I HATE going anywhere anymore for the traffic. I can’t drive to the grocery store unless I have a half hour to spare. It used to take five minutes. We have NO sidewalks, no transit, no traffic light to let us. Take Tyndall road across and come at it another way? NOPE. It’s closed until NOVEMBER 2018. Drive all the way down to the lake and wind along the 30 km zone behind all the trailered boats using our Boat Launch and then wind all the way back up to Camp Road and access Hill Drive. 40 mins or more… Please contact me to tell me what you are going to do about this issue. We are sorry to hear your frustration and thank you for connecting with us here. Unfortunately, we can’t speak about the Lake Country District municipal traffic management plan directly. You could also speak with your local MLA about your concerns. They would be able to let you know what sort of actions they can take. Here is their contact info: https://www.lakecountry.bc.ca/Modules/contact/search.aspx?s=oa39HL8adWejTNKlR9Zy2AeQuAleQuAl Hopefully this is helpful. Thanks again for your comment. (b) The edge of white sheeting shall not be located closer than 75 mm to the edge of the luminous lens area of any red or amber lamp that is required by this TSD. (c) The edge of red sheeting shall not be located closer than 75 mm to the edge of the luminous lens area of any amber lamp that is required by this TSD. Some erroneously marked equipment is OPERATING IN BC. Adding a three inch matte black border around the signal / marker lights would end this concern. I have tried various ways to address this problem. Does it matter that these FIRE DEPARTMENTS, and manufacturers, and the “authorized inspectors” of this equipment ARE WILLINGLY ignoring THE LAW ???? I won’t be loading my email for an undetermined amount of time due to access issues. PLEASE EXPLAIN THEN, how supposed members of “BC Trucking Association” in the Northern area has (apparently) continuously been issuing these certificates at will, WITHOUT performing an inspection??? How is it that the CVSE advertises for them on their website, at http://www.th.gov.bc.ca/CVSE/ ??? How is it that this black market activity has been going on UNCHALLENGED for over twenty years it seems, by VARIOUS other “authorized” inspectors also??? How is it that so many of the industry members up here know this is going on AND THE MINISTER doesn’t know, or otherwise is unresponsive? This is demoralizing in terms of flaunting the law. This is dangerous for the motoring public. This is endangering drivers who drive JUNK daily, or they have to quit. This is unfair to the conscientious Owner/Operators. This is creating skewed competition for LEGAL inspectors. This is robbing mechanics of repair hours and forcing them to be complicit. This is subverting parts sales. EVER HAVE A SET OF 22 inch DUAL WHEELS, tires, and a drum rolling toward your skull at 220KM/HR??? HELL LOOOOO??? What is the Minister waiting for? Just open your eyes. How many tractors ACTUALLY have chevrons on the back of the cab/headache rack? That’s just an obvious indicator of MANY DEEPER issues. Simply screening the inspection data will find most of the flagrant inspectors. DO YOU WANT ME TO WRITE THIS PROGRAM FOR YOU??? Thank you for your comments and sharing your feedback around commercial vehicle enforcement in the north. We take safety extremely seriously but need more details from you as these seem to be more general concerns. Could you please provide any specific incidents or examples so we could follow up on them? We’ve received your letter as well, repeating these comments and have attempted to contact you through the number you provided but haven’t had luck reaching you. If you’d like to talk further, we’d love to connect to better understand your concerns. Issuing an inspection certificate for a vehicle unless the vehicle has been inspected at a designated inspection facility is not legal, unsafe, and economically destructive. I’m curious why this falls to me to do for free. Hire me. Brian Kangas is “off” for two weeks, evidently. Meanwhile take a look at the back of YOUR OWN TRUCK: Unit number TH21326. Specific enough? The National Fire Protection Association did not write NFPA 1901 for Canada. It is a VOLUNTARY standard here, and yet they themselves said something like “the 50% coverage area calculation for these chevrons DOES NOT APPLY the 3 inches surrounding any lights required by the NSC”. Thank you for your comments and sharing your feedback around commercial vehicle enforcement in the north. We understand you spoke with Brian Kangas directly on this matter and he encouraged you to connect with the Fort St. John scale supervisor to further discuss your concerns as these compliance concerns could be better addressed at the local level. We hope that this helps. Thank you again for connecting with us here. I have lived in BC the majority of my life – over 40 years. I have lived in Rossland, BC and now, Trail, BC. In the past 8 years, the winter highway highway maintenance throughout the West Kootenay has eroded drastically. Emcon, the contractor “awarded” or “hired” for the purpose of keeping the challengiing roadways in our terrain safe as much as foreseeably possible during winter months is failing in its efforts and normal maintenance work is not being carried out as regularly as it should be. We are challenged specifically by mountain highways, sometimes drastic changes in temperature and severe degree changed by rivers where some of these highways are located. A mixture of sand, gravel and salt have been successfully used in the past and these roads, on winter tires, have been entirely driveable and for 10 years of my job, I travelled a great deal throughout much of the West Kootenay in the winter. I have experience drastic roadcare maintenance differences when driving out of area where another company is responsible for the mainenance. On Highway 3B, between Rossland and Trail, one of the steepest roadways in North America for its distance and vertical grade, was, in areas, sheer black ice today. The highway is not being regularly maintained to avoid these conditions. There is no gravel for traction, no salt being laid and I cannot answer as to why that is when my tax dollars are going to this maintenance where I live. An accident between Trail and Castlegar killed a woman on Dec 20/17 and several accidents have occurred there for a few years. A great deal of thisbhigheay runs along the Columbia river where road conditions can drastically change because of the river (as much as 10 degrees colder) and more mist and ice can emanate and develop as a result. People who abid by the law of owning M&S tires are not being kept safe on my local area roads because of a company that does not properly maintain the highways for the challenging and changing winter conditions of this area. Budget is an obvious reason and more accidents and deaths will occur as a result. My family was driving in our AWD Nissan Murano today from Rossland to Trail and lost control slightly driving at under 55 km/hour in low gear because of the black ice allowed to be created due to lack of maintenance. I used tp drive that hogheay 20 years, 10 times a week for work. I have NEVER seen it as bad as this last 3 winters in the lack of maintenance. School kids are driven on this highway due to a change in school higher education. There will be a tragic accident because of this lack of maintenance being allowed. This is not to mention the areas of Rossland to Christina Lake/Grand Forks via the Nancy Green Strawberry Pass route. There was a well-equipped truck in the ditch also today from Rossland to Trail because of the conditions and it is snowing alot now. Please review the Emcon contract and commitment to this area of winter higheay maintenance and the occurences of actual higheay truck rolls, the amount of resources being used and people staffed to do the work. This company has reduced budget, staff and resources in its winter maintenance work and it is causing an increase in accidents and lost lives. People are being blamed instead of the obvious higheay company contracted. The best winter tired and winter deivers cannot win against roadways where ice conditions have been allowed to intitiate a sequence of events that should not be occurring if regular maintenance was taking place to assist in the prevention of these accidents. In the last 5 years, I am more confident to drive on municipally maintained winter roads than those of Hwy 3, 3B and Hwy 22. We have a great deanof anow falling now as I write this and hat will cver the black ice on the Rosslan-Trail portion of the highway. A major thorough-fare of the province and o the US borders locally. This cannot be allowed to continue with Emcon as the loca highways contractor. Their bid has obviously ben awarded based on low dollar value that he Min of Trans is aware of and allowing to occur. It took a death of a young girl and her father to finally change a deathly corner btwn Castlegar and Nelson. How many deaths might it take to change the maintenance of area roads that I have, in my 40+years of living here, never seen in worse shape in the winter? I barely see an emcon teuck out where , 5+ years ago, they were a regiular site more often om the more challenging routes where conditions change more rapidly and drastically? It is time that the province has paid attentiom to this, before it is too late. Hi Helen – thanks for taking the time to pass along your concerns. Please be assured that ministry staff takes its commitment to providing a safe and reliable transportation network very seriously. Part of our duties include the administration of the road maintenance program to ensure that our highway maintenance contractor is adhering to the terms and conditions of the maintenance agreement as set out by the ministry. To confirm the contractor is meeting the ministry’s high standards, we regularly audit and monitor contractors performance in addition to communicating with them on a daily basis on numerous issues that surpass road maintenance. Our contractors also need to comply with their own Quality Management System (QMS) based on the principles of the ISO 9000:2000 standard. They are required to keep records to demonstrate compliance with our maintenance specifications and to have a quality control (QC) and a quality assurance (QA) program whereby records are maintained to demonstrate compliance with their QC/QA. Should you want to know more about ministry road maintenance specifications and how they make up part of the highway maintenance agreement with all of our Provincial Road and Bridge Maintenance contracts, please click on “2003-2004 Highway Maintenance Agreements – Maintenance Specifications – Schedule 21” at the following link:http://www.th.gov.bc.ca/bchighways/contracts/maintenance/standards_and_specs.htm. Please be advised that these specifications are for twenty seven of the Provincial Contracts. Mainroad East Kootenay (Service Area 11) highway specifications are slightly enhanced as some of the specifications were changed as part of the newer contract. To view these specifications, click on the following link https://www2.gov.bc.ca/gov/content/transportation/transportation-infrastructure/contracting-to-transportation/highway-bridge-maintenance/highway-maintenance/agreement and navigate to the bottom of the page to view the agreement and schedules. You should also know that the ministry has a Contractor Assessment Program in place where ministry staff monitor and audit our contractors performance to ensure contractors are meeting our very high standards. Contractors work is assessed by local ministry staff within the service area, by annual assessments of auditors from outside the service area and by local stakeholders comprised of agencies such as emergency responders, elected officials, Fist Nations, school bus operators and commercial vehicle companies. Should a contractor be found to not be complying with the terms of the contract, the ministry has tools within the contract to help redirect the contractors performance. Local ministry staff have found through the local assessment portion of the Contactor Assessment program, that Emcon is meeting our maintenance specifications, however there is always room for improvement, and feedback from drivers like you is important. That being said, there will be times when the road conditions have changed and will require timely maintenance. As you mention the roads in the Kootenay’s are subject to quick changes in road conditions in the winter. The maintenance contractor updates these changing road conditions on DriveBC.ca as they occur. You can check the road conditions for the West Kootenays at http://www.drivebc.ca/#listView&district=West%20Kootenay. Should you see road conditions that cause you concern I encourage you to contact, Emcon Services Inc, they can be reached by either their 24/7 answering service at 1-888-353-3136 or during business hours at 250-442-2025. It is important that Emcon is aware of what and where the maintenance issues are so they can respond to them directly. To answer your question regarding the current maintenance contract for this area; Emcon Servcies Inc. was awarded the maintenance contract for this service area through the tender process in Oct 2003, at that time it was a 10 year contract, this contract was extended for 5 years and Emcon Service Inc. is under a maintenance agreement with the Province until September 30th, 2018. In preparation for this contract expiry, the ministry will have a pre-qualification Request For Qualifications out on BC Bid later this month for a four week period and then the Request for Proposal will be posted to BC Bid in early March for about two months. There will be a one month evaluation of the proposals with the award to the successful bidder likely being announced around early June. Until then, the ministry will continue to work with Emcon to provide winter highways maintenance, and the ministry will continue to ensure they are meeting the contract requirements. Should you have further questions or concerns about road conditions feel free to contact the local operations manager dennis.kurylowich@gov.bc.ca. Vancouver highways are the worse in the country and need a massive upgrade. The transport trucks SoF fly by school zones and residential areas desperately trying to get the HYW#1. I do not agree with freeways everywhere and am a strong proponent of transit but get the damn transports off the secondary roads! BC should go on a major overpass program to bring HWY#10 and #15 up to full freeway standard with overpasses and a Cloverdale bypass. Right now a transport going from the US crossing must negotiate 14 traffic lights, a school zone, a fire station, go right thru Cloverdale Centre, all on a road that is still used by tractors with no bike lanes and a posting of reducing speed to 50km/hr when children are playing on the highway!!! To make it even worse 3 of the lights are at the base of 2 VERY steep hills so the transport crawl up the road spewing their smoke and bringing the highway down to effectively one lane. Thanks for your comments. We shared your concerns with the local area office who informed us that Highway 10 and Highway 15 are arterial highways which run through local municipalities. There are currently no plans in place to upgrade either of these routes to freeway grade in the near future. Highway 17 was designed and constructed to relieve truck traffic through urban areas north and south of the Fraser River including Highway 10 and Highway 15. Highway 91 via Highway 99 provides freeway access to Highway 17 (SFPR) and subsequently Highway 1 if drivers wish to circumvent travelling through urban municipalities. We evaluate operations at intersections to ensure signals are timed to most effectively move traffic along the highway and our maintenance contractor works diligently to ensure current configurations are maintained and any incidents are expediently removed to maintain capacity of roadways. Your comments have been submitted to planning group for consideration in future expansion projects in Lower Mainland. I have an issue with the webcam site. Whenever a connection is temporarily lost with a camera, you plaster big text across the picture saying “Transmission Delayed” and “fog” the picture. I understand that you want to make people aware that the picture does not reflect the current conditions, but even a picture that is a few hours old is still useful. Please consider placing the text around the edges of the photo and not fogging it. Even better would be to pop up a dialog saying “Transmission Delayed” and allow it to be clicked to show the unaltered picture. Cameras at the top of passes often experience this problem and in winter these are often the images of greatest interest. I assume that these use cellular connections to communicate and that this is why they are unreliable, but I’d like to see a higher priority put on keeping these links active by improving the technology. Thanks for your message. Because things can change so quickly (especially at higher elevations) showing an image that’s even an hour old would give drivers a false sense of what was happening at that moment. For everyone’s safety, we need to be very clear that the conditions could be very different from what the last screen shows. DriveBC also reports text based information on road conditions and we encourage drivers to access that information in addition to the images on our highway cams. We do the very best we can with what we have within our current fiscal climate. Hope that this helps. My concern is traffic at pedestrian controlled intersections in Vancouver. Currently after a pedestrian pushes the nutton the traffic on the major street gets a red light and pedestrians get a walk signal. As I understand what is supposed to happen nothing changes for cars approaching the intersection. They still face a stop sign and by law must wait until the cross street is clear of pedestrians and they are able to cross or turn into the major street. Similarly the red light that stops traffic on the major street governs cars but NOT pedestrians who still have right of way to cross parallel to the major street regardless of the red light stopping cars. A couple of solutions occur to me. -eliminate these intersections and replace w two way intersections. Thanks for connecting with us here. To best help you with your question, could you identify where this intersection is in order to understand if the responsibility lies with us, or with the City of Vancouver. Thanks for your feedback. This is a key safety message we keep repeating on grey days. when we encourage all drivers to turn their headlights on and make sure their tail lights are on at all times for safety. Someone told me this problem has been made worse because newer vehicles have the internal dashboard lights come on automatically as the light outside becomes dimmer, but they don’t turn on the driving lights. The daytime lights are still active. So, where you may have noticed before that you should probably turn on your lights because you can’t see your dashboard, you now don’t have that signal. Unintended consequences. Yes, indeed. Thanks for sharing Wendy! 2. records the date, time and vehicle speed, and videos the driver and vehicle’s direction of travel (using cabin and dash cameras). Such a law would allow authorities to review the Black Box data and videos after an accident and before the vehicle insurance is renewed. We have the technology to build a Black Box for vehicles, but will the lawmakers pass such a law anytime soon? We have sent your comment about the use of black box technology forward to our traffic engineering department for review. This comment is regarding the highway 1 from Langley to Abbotsford. For ten years I have been driving this route and the amount of congestion, speeding, tail-gating, racing, raging, stupidity, fender benders, multi-car accidents, has continually increased, without taking any consideration of lost economic value and increased government spending for emergency services, ie fire trucks, and ambulances, and most important loss of life. There are some solutions that would curb bad driver behaviors, but we have not done any of this, to a higher degree. More police presence, on this dangerous stretch of highway, would go a long way to make the drivers on this highway more aware of their misuse, and in turn lower our spending of emergency services. Video columns every 1 kilometer so that drivers know they are scrutinized, and speeding radar camera’s so that some individuals that are totally abusing highway speed limits will get dinged for racing, ie lets say 130 kilometers per hour of more. These video poles could be in the median at every 1 kilometer. But instead, we continue to have major accidents, major traffic disruption, and increased pressure on emergency services. I would bet dollars to donuts that these accidents would decrease on a major level with constant police presence, and video capturing of idiot drivers. Most truck drivers are professional, but I can say that I have seen many times large trucks doing 120 kilometers down the hill between 264 and 232 westbound, and only 4 feet behind the car in front. Also, when is that last time you have seen loads of rocks and stones, or garbage pouring out of a truck littering BC highways. This is not just a note for trucks, regular travelers weaving in and out of traffic cutting off trucks that need more time to lower gears or multiple other dangerous driving habits. And I won’t even bring up the pot smoking or drinking or texting while doing 120 in the passing lane. This has to stop or there will be more deaths on this highway. The public has to wake up and government can and should present smarter ideas to make this stretch of highway safer for all. Thank you for your comment Larry. If you haven’t already, we encourage you to share your feedback in the survey as well. I think given the vast road network that the ministry has, it does a pretty good job with resources its given. The areas of opportunity I see are the following. Regular line marking maintenance, especially expanding use of the new retro reflective paints launched this year. Also completing the paint job once started and not leave it half done, as well as coordination with crack sealing crews so that freshly painted lines are not covered the next week with tar and gravel. More regular maintenance with crack sealing to avoid road surfaces from freezing and cracking during winter months, leading to more costly repairs and hazards on the roads. More timely repairs of potholes when they do appear. Replacement and repair of cats eyes reflectors on a regular basis. Less clutter signage on roadways which leads to external driver distraction. Not every gas station on a highway needs a ministry sign to tell you its there, as they have adequate signage. Consideration of innovative ideas instead of massive road projects. Things like counter-flow lanes. There are many roadways which are only busy 2x per day (commute times), and using counter flow lanes could put off new construction by years by increasing capacity 2x during those peak periods. When installing directional signs for exits etc. consider the out of town tourist perspective and if the location would be best for someone that has never been to the area before and does it given them enough time to react without posing hazard to other users on roadway. Awareness of glare caused by new LED streetlights and consider hoods or deflectors so that light is not shining directly in eyes of oncoming traffic. These are a few that come to mind. Thanks for the opportunity to share. Thank you for sharing with us Derek – have you also shared on the survey site? and, the paving bandits strike again. Sooke Rd. After several years of complaining and pressure to have visible road lines, we had an almost complete job done this summer, but guess what, road crews are now patching the asphalt and, you guessed it, covering up the new line paint both centerline and fog line. I really do not understand how these jobs cannot be coordinated so that the painting is done last. Thanks for letting us know Derek. We will let the local area manager know as well. Better enforcement of left lane hogs, the removal of HOV lanes from two lane Highways and an Urban Speed Limit review. The driving lane should always be on the right, and passing lane on the left. Nobody should occupy a left lane unless they are passing a car on the right. This is an international driving standard and it is also now law in BC. It is the SAFEST thing to do. Two lane highways with an HOV lane has a slow down effect & creates more congestion and pollution by forcing all traffic into one lane instead of two. Stop and go traffic results & more collisions a good example of this mess is the Barnet HWY. This HOV lane is causing tax dollars to be wasted because one lane is essentially wasted. This HOV lane is causing increased commuter times and frustrating nearly all the motorists which use it. This HOV lane is costing the taxpayers extra money for needless policing while creating disrespect and scorn for lawmakers which endorse and continue to support this visible waste. Eliminate all HOV lanes from two lane highways in BC. They do not work. Review and reset the speed limit on all urban highways (including Barnet Highway). Encourage Keep Right Except to Pass on all multi lane roadways, including Barnet Highway. Travelling BCs interior this summer was a treat and less stressful thanks to the speed limits that were corrected and now better correlate 2017 travel speeds, we now need to have an Urban Speed review to rectify the decades old speed limits on Urban Highways. The “Keep right let others pass signs” on rural roads were also a great success and I look forward to having them installed on Urban Highways – especially going up the cut in North Vancouver and along the Upper levels Highway. Before anyone calls for more enforcement or to throw the book at people “excessively speeding” the speed limit needs to be set correctly in the first place. Thanks for your comments – we have shared them forward with our traffic engineering department for review. HOV lanes are to encourage commuters to take transit, car pool or drive an EV. The reason they appear less plugged is because the users have multiple passengers per vehicle instead of more vehicles causing even more pollution and smog. So your idea that traffic would be less congested or free flowing by eliminating HOV status is completely false. The solid white line separates HOV from other lanes so the non HOV traffic still has the international standard of slower traffic keep right. If you are not approved to drive the HOV, then stay in your lanes and cheaters all eventually get caught. Focus on not using your hand held device instead of policing who’s in which lane; you are being unsafe. A further note on “keep right except to pass” rule, please remove those signs that reads “slower traffic keep right” because they are WRONG. ALL traffic should keep right except to pass. Make driver education classes mandatory with insurance discount incentives. Increase speeding, distracted and dangerous driving ticket fines. Get rid of those horrible traffic circles that NOBODY knows how to use. Rather than having police catch offenders, why not create traffic enforcement only officer jobs and get more of these bad drivers off our roads without putting further pressure on police. Hi, I am from Fort St John and my family frequently makes trips to Grande Prairie, Alta. for shopping and such. I have to say that I have noticed that almost the second one crosses the BC/Alberta border, the shoulder on the 2-lane, undivided highway grows at least half a meter on either side. In BC we should also be building highways with wide shoulders like this. From what I have seen driving throughout the province (I drove highway 97 between Fort St John and Prince George multiple times this summer) the shoulders average maybe half of the width of the shoulders in Alberta. Driving with wide shoulders is much safer; if you break down or get pulled over by the RCMP, you can move your vehicle completely out of the flow of traffic so other vehicles do not have to swerve (so much) to avoid you. In BC, if you pull onto the shoulder, your vehicle is partly blocking the flow of traffic which can have deadly consequences if someone behind you is not paying proper attention. Also, let’s not forget about keeping our cyclists safe! Additionally, I strongly believe that we should be twinning highways at all places where it is reasonably feasible to do so rather than four-laning. I realize that BC is a more mountainous province than Alberta or Saskatchewan, but that hasn’t stopped Alberta from twinning the highway in the the heart of the mountains in Banff. Fort St. John area is no less flat than some areas of Alberta. As it stands at the moment, the BC government has a plan to four-lane highway 97 from Fort St. John to the Alberta Border but geographically speaking, there is no reason why they should not be twinning (as proof, the Alberta government is twinning highway 43 from Beaverlodge to the BC border in the coming future). My area in particular, I believe, should be twinned because of the very high percentage of tractor trailers we have on the road due to the oil & gas industry. While I agree that four-laning is safer than undivided two lane highways, twinned highways have a number of advantages. When driving at night oncoming traffic is not as directly in front of you which helps to prevent being blinded by others’ headlights. Additionally, if road conditions and poor driving skills cause someone to swerve, they go off the road which is unfortunate, but at least they are out of the flow of traffic. On the other hand, if there is a concrete median (in the case of four-laned highway) they become boxed in and other vehicles can hit the from behind. If there is no concrete median on a four-laned highway, head-on collisions can still occur. Furthermore, when a highway is twinned, people can still drive relatively unaffected by construction as crews build the twin highway alongside the original. However, when a highway is four-laned traffic must be held up at every painstaking kilometer causing drivers to get frustrated and be more aggressive on the raods. Let’s not forget that speed limits on twinned highways are at 110 km/h vs 100 km/h on four-laned highways. No other jurisdiction in North America that I am aware of four-lanes highways, they all are in the practice of twinning and there are good reasons for this. It’s, frankly, going to be embarassing when my Albertan friends come to visit me and are greeted by the joining of the divided highway and shortening of the shoulder as they cross the border into BC. As a side note, I currently am going to the University of Alberta in Edmonton and when I drive back home to BC, I am stunned by the number of overpasses on the highway, in the middle of nowhere. It’s great! I only have to stop at 2 traffic lights between Edmonton and Grande Prairie (both of which are in Whitecourt). That’s 5 hours of not having to stop at red lights! While I know that overpasses at every intersection are not economically feasible, we need to be building more of them, especially in the lower mainland. They help curb traffic jams and driving becomes much more relaxing when you don’t have to stop at a red light every hour on the highway. One positive about four-laning that I realize is that if the government plans only on upgrading the highway slowly a few kilometers at a a time (as the BC government has frustrating habit of doing), drivers are able to enjoy driving on the new road immediately. However, I do think that despite this, we should still be twinning. I know that the BC government is trying to keep its books balanced, but I am VERY VERY VERY positive that British Columbians are plenty willing to borrow money to build proper twinned highways with WIDE shoulders, overpasses , and get it all done in a timely manner! The benefits will last GENERATIONS. BC has some of the toughest laws on texting and driving, drinking and driving, and one of the most restrictive graduated licensing programs in the country. If the government and Ministry of Transportation are really serious about keeping people safe on the roads, these laws and the GLP are lip service as far as I’m concerned, writing new laws can only do so much so we must make significant investment in the safety of our citizens through signficant improvements in our transportation infrastructure. As a final thought please consider this: once all of our major highways are four-laned, it’s very unlikely that we will ever go back to go back and twin them properly. For generations our highways will be less safe than we could have made them and less safe than the highways in other parts of Canada and the US and more people will be killed on our highways because of it. It is very important that we do this right the first time. Hello and thank you for connecting with us here and sharing your concerns and comments. Although driving on a twinned highway is an ideal situation, we have numerous factors to consider including, but not limited to: cost, property impacts, environment, archaeology, agricultural land, wildlife. A twinned highway has a significantly larger footprint and therefore many more impacts. With respect to safety, we typically build a 2.6m median that separates the lane directions and most four lane sections of highway have a minimum 2.0m wide paved shoulder plus a 0.5m gravel shoulder. A lot of our design criteria are determined by traffic volumes. We currently have two major 4-laning (twinning) projects underway in BC. The Caribou Connector (Cache Creek to Prince George), and (Cache Creek to the Rockies (Alberta Border) – (The Kicking Horse Project)). Additional projects are always in the construction and planning stage by the regions where they exist and will involve adding additional passing lanes throughout the province such as Highway 3 near Princeton, BC, and new interchanges such as at McKenzie, and work on the Malahat. New passing areas throughout the province are always being considered, and additional work in the Fraser Valley in terms of adding lanes, and the George Massey Bridge replacement carry on. Sicamous area is also adding lanes as is Salmon Arm. We hope that this helps answer some of your concerns. If you have any other questions, let us know. Hi, I’ve spent the summer driving north to south, east to west in BC, and I must say, I didn’t realize how far behind the times we are until I drove outside of the province. It seems we have no long term planning. I mean, we have the population projects to plan on building proper freeways between all major cities in the future, not this corner-cutting 4-laning business. Putting the lanes together with a concrete median is dangerous, which is why I-90 through Washington State has recently been upgraded through the Cascades to separate the lanes with an earthen median. The concrete barriers block incoming light from hitting your side of the road while blinding you at face level. Please, please, please, pretty please, think about building proper freeways. Kamloops to Jasper, Kamloops to Prince George (both 97 and 16), Kamloops to Field, Osoyoos to Kamloops, Prince George to Fort St. John, Prince George to Terrace, and Victoria to Campbell River. 110km/h limits like Coq. No traffic lights on major highways! There are over 60 lights between here in Vernon and Osoyoos, and that’s one of the busiest highways in the province. It is hurting business and makes it hard to remain competitive. I waste hundreds of extra GHG emissions every year being stuck at red lights. I would willingly pay more taxes to make it happen before the next century! Thanks for your comment! We have sent it forward directly to our Traffic Engineering branch for review. There is newly paved road just past Duncan, BC going south to Victoria and you cannot see the paint whatsoever at night. It is unbelievably frustrating as when going over the Malahat the difference between having reflective line paint (and reflectors) to not being able to see which lane you are in is night and day difference (pun intended!). If you add a foggy morning, it’s “near misses” every single day. I drive it, and I see cars immediately swerve back into their lane, or swerve to stay off the shoulder when they realize where they are. My Dad drives a logging truck and he dreads having to pass through this brand new section of highway because there is zero visibility with respect to the lane markings and both and cars often cross over not being able to see – especially with rain and fog. It’s unbelievable that you would not use reflective paint and reflectors for this highway. Thanks for connecting with us here and sharing your concern. Just to be clear when we share your complaint forward for review, is this BC Highway 1 (Trans-Canada) south of Duncan you are referring to? I just got back from Alberta (Edmonton) which I had visited for the very first time and the thing that blew me away was their road system. WOW! It felt like I must be in the US what with the great volume moving system they have, and despite their winters, highway seemed in great shape. Visited my daughter in Victoria when I got back and got stuck in the apparently now to be expected “Colwood crawl”on the way out. There was no accident and this was purely a result of three lines of traffic being merged into one to get on the Malahat…. and not even during rush hour. I couldn’t help but think this would never happen one province over. Thanks for connecting with us here and sharing your feedback. The things that make British Columbia such an beautiful province (mountains, rivers, valleys, green forests etc.) are the often the same things that make highway travel here a bit more challenging than in places that are relatively flat (like Edmonton). Geographic barriers, like the Malahat, can limit the ability to have multiple lanes of free flowing traffic. Add in some unpredictable mountain weather and things can slow down considerably. We continue to improve BC highways wherever we can and the Malahat is no exception. We have recently improved a significant stretch of this road and are working on improving it further right now. Here’s more info: https://news.gov.bc.ca/releases/2016TRAN0044-000357 Hope that this helps! Hi I am so sorry I missed the deadline of the survey but hope you will take this into consideration! shopping and airport as well as down to the coast to visit our kids! We are talking 20 return trips! Yellowed highway has not been repaved before the winter from Barrier to Clearwater is beyond me! the few feet of extra lanes before McLure so wish us luck on that job! not redo the surface and leave it in such poor quality! We are going into winter and the surface will hold water which will turn into ice and will be deadly! Thanks for connecting with us here and sharing your comments. We have shared them forward with the local area manager for review. 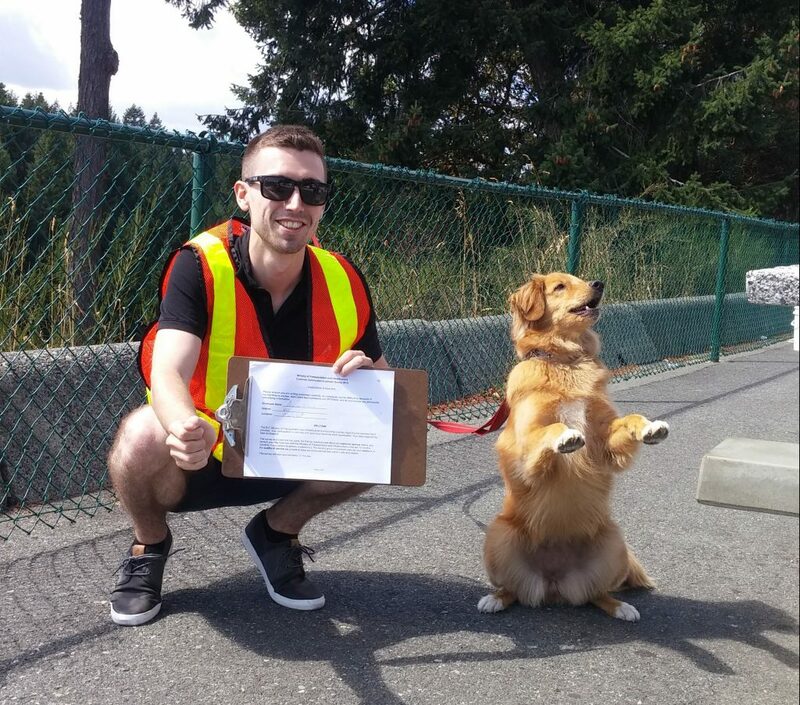 The Trans-Canada 4 laning program is underway and you can learn more about it here: http://engage.gov.bc.ca/bchwy1/projects/ Hope this helps! I have a suggestion for merge lanes. I live in Victoria and on any given long weekend, the traffic on Hwy 1 going north towards the Malahat is constantly backed up for a good 5 kms to the Colwood exit. Having sat in this several times, expecting an accident or something up ahead, I find that it’s just bottle-necked at the merge lane just before the Leigh Rd overpass. Once you’ve merged and your heading through Goldstream, traffic picks up. The same problem happens during rush hour traffic on Craigflower Rd heading west just past the Admirals Rd intersection. My co-workers and I have had a couple debates during lunch hour about how to properly merge to prevent this bottle-necking. The problem is, there’s no consistency on where people merge. You get some people merging early as soon as the merge sign appears and they usually zipper in nicely. But then you get some people who see lots of right hand lane ahead still so they drive way up to the very end, but then people see them as “cutting the line” so they are hesitant to let them in so the merging drivers end up either slowing right down until someone lets them in or dangerously cutting people off so they can get a spot. This causes everyone to slow down, reducing speeds from 80 down to 50 or less. A simple fix would be to paint a colored “merge zone” into these merge lanes. Make it about 100 meters long (approx 5 seconds to merge driving at 80 km/h) with a sign indicating you can only merge while in the “zone”. You can’t start merging before the zone and you must be merged by the time the zone ends. Also include a sign just before saying “Remember to zipper” or something with a diagram of cars zippering. This way everyone is on the same page and knows what to expect from the merging traffic. People can maintain their speed while safely letting other cars in with no disgruntlement towards others budging in line. That is a great idea and we have shared it forward with our traffic engineers for review. We appreciate you taking the time to share your suggestion with us – let us know if you have any other questions or concerns. Safe travels! I must apologize. I noticed about two days after posting my comment about merging that there is now a sign on Hwy 1 where it merges at Leigh Rd telling people to merge at the end of the lane and to alternate traffic. I’m sure this will help considerably but I noticed that some people still want to merge early in the lane. I think it would still be beneficial to have a section of the road painted to indicate where to start merging to that it’s blatantly obvious and leaves no room for interpretation. Keep up the good work and I look forward to the completion of the McKenzie Interchange finally! Thanks for following up with us Brian, much appreciated! My pet peeve on BC Highways is logging trucks and trailers without fenders. This is antiquated and downright dangerous, I see fuel trucks and trailers,gravel trucks and trailers, highway trucks and reefers all with fenders.when is this outdated practise going to cease and all highway rigs have fenders? Follow alogging truck and trailer loaded or empty especially in winter and you are completely blinded when they hit a patch of water or slush. Iam an emigrant from the UK who worked in the transport truck industry as a Mechanic, coming to Canada I was astounded and still am at how far we are behind Europe in truck safety and trailer safety! Thanks for your comments Jock, about logging trucks/trailers, which are not manufactured with fenders and only require mud flaps on the rear of the tires. I have forwarded them to our Commercial Vehicle Safety and Enforcement branch. Sure the truck or trailer may have been manufactured without fenders however they can be mandated on anything and any competent shop can set something up to follow the law. Even make it retroactive for older vehicles if they want to be run on our roads. Now there’s quite a lot in other areas that can improve transportation, first is to have police enforcing road laws, all too often they are looking for the occasional speeder or someone turning where they shouldn’t however as someone who has lived in 3 Provinces and spent a lot of time in Ontario, I can say this is the worst for driver ability I’ve seen. Why does the ministry and conversely ICBC have to provide a translator when drivers licenses are being provided? If a translator is required for someone to acquire a license in this Province what are the chances they understand road signs? That’s food for thought. Another quibble, heavy trucks in the left lane…really? That should be a no brainer no go right there. Inadequate merge lanes, prime example is the cluster of fun in the lower mainland coming off 264 Street (Highway 13) to highway 1 Eastbound, whoever designed that travesty should be found and forced to redo it. That’s one ultra short merge lane right after some traffic has to do a yield, there isn’t even a remote chance someone can hit highway speed on that one and probably several others around the Province. Oh and the fact the highway is 3 lanes eastbound to this point doesn’t help matters in the congestion area either. Also highway 99 southbound to the 152/32 exit needs to be lengthened badly as there are backups there that do stretch onto the highway lanes, that is definitely not a safe thing. The B.C. Government and Federal Governments desperately need to fast track the Trans Canada 4 laning from Kamloops to Alberta, this should be a high priority project that should be sped up. Why? This is a highway that is part of the National Highway System as are highways like 16 up north, the Coquihalla and the Crowsnest. The Coq is fine however there has to be improvements on the Crowsnest. Yes I do know there’s straightening projects going on with that highway but like the Trans Canada, this highway needs attention as well as I can see both 1 and 3 being even more important links to the rest of the country and as such they need to be opened up, even if it means a bypass somehow someway around that nasty bit east of Osoyoos, that’s just nuts for commercial traffic and no, I’m not a commercial driver and only have held a class 5 license all my life. And my final piece and I’ll get off my soapbox. Signage in B.C. simply stinks. I’ve seen better highway signage in Manitoba, here your lucky to see a curve ahead alert aside from the odd hairpin. No Passing zones should also be signed in addition to the road markings, speaking of road markings, they need to be upgraded with more reflective properties, badly. Signage is important for not only safe driving, but driver alerts to what the road ahead is like. I’ve seen too many flatlanders think they go like gangbusters on the Duffey Lake Road and get stung by an unexpected tight curve ahead. It isn’t flat or straight here and I leanred that quick coming from the flatlands but tourists…they need a bit more help! Thank you for your feedback – we really appreciate it. We have sent it forward for review as part of our Customer Satisfaction Survey. Take care. I drive to Surrey from Mission everyday on HWY #1. Everyday I notice that the flow of traffic is interrupted and radically slowed by big rigs entering the fast lane. Big Rigs do not belong in the fast lane as they have no ability to clear the lane in a timely manner, they are quite literally in my opinion causing one of the greatest degrees of hwy congestion. We would save millions in HWY infrastructure upgrades if we kept big rigs out of the fast lane. – Bring forward changes to the Motor Vehicle Act to give police better tools, through clearer language, to enforce the requirement for slower vehicles to keep right. – Adopt new signage and pavement markings to increase voluntary compliance of ‘keep right’ requirements. – Pilot signage on Highway 4 advising motorists with more than five vehicles following to pull over. I agree with the statements made by Chris above especially regarding commercial heavy truck traffic. The engine brake signage is out of date and needs replacing on many roads in B.C. The signs should be placed further from community boundaries and lower speed limits imposed. Some small communities are inundated with engine brake noise as trucks travel at high speed through the community using their engine brakes to slow down at the last minute. This is true especially at night. Regulations to reduce noise pollution from vehicles augmenting their muffler systems. A program for the installation of sound barriers for people/communities close to highways. Thanks for your comments, Evelyn. I’ve passed them on to our engineering department. Thanks everyone for your comments. We’ll pass them on to those conducting the Customer Satisfaction Survey. As well, please make sure you take the survey too. 1) Promote the deregulation of taxis so as to reduce traffic congestion by increasing the number of taxis. 2) Build carpool-stops and promote drivers to pick up carpoolers so as to reduce traffic congestion and wasted fuel. 3) Replace stop signs with yield signs so as to reduce traffic congestion and wasted fuel as studies have confirmed that stop signs do not offer measurable safety benefits over the yield approach. 3) Reduce the number of traffic lights so as to reduce traffic congestion and wasted fuel as studies have confirmed that there are viable alternatives to traffic lights. Install pullouts on rural highways with a single lane. Differential speed limits for heavy trucks. Limit heavy trucks to a maximum 80km/hr except for a few highways. Ban heavy trucks from the left lane with an exception for left turns. This should apply to all multi-lane roadways, not just highways. Focus on commercial vehicle driving infractions: speeding, late lights, vehicle safety. Better signage regarding right lane for traveling, left for passing. Enforcement of drivers that cross solid lines while cornering. Enforcement of drivers that cannot maintain their vehicle within lane markings. Dedicated HOV lanes use dashed white lines to separate non-HOV lanes in the same direction. Street parking on major urban roadways begins at 7pm instead of current 6pm. I take issue with slower vehicles impeding the fast lane on highways. This applies to those still exceeding the speed limit but travelling slower than the natural flow of the lanes to the right of it. This particularly applies to the HOV lane. It should always be the fastest moving lane on the highway yet vehicles in this lane are often travelling slower than the lane to the immediate right. I feel this is a dangerous situation when the lane to the right of the HOV lane is a fast lane flanked by slower moving traffic on either side of it. E.g. boundary road at night + rain = a strip of black with no lane references. Another example: downtown New West…it’s like driving into a huge dark pool when it’s raining at night. Vancouver is no longer a one-horse town. Get with the times! This is especially problematic when people are making turns (esp. left turns). Drivers have to look for both oncoming traffic AND pedestrians standing at street corners who sometimes can’t seem to make up their minds on when/where to cross. Look at most European countries (e.g. UK) and you will never have this madness. When it’s a green light, it means GO, not look out for this, watch out for that, and then maybe you can go. This goes both ways for drivers and pedestrians alike. As a pedestrian, I don’t want to have to watch out for stupid drivers pushing their way through making their turns a foot behind or in front of me when I am crossing the road. As a driver, I have to continuously make shoulder checks to ensure people are not going to start their sprint to cross the road on a flashing “don’t walk” sign. Again, it’s safe for both parties. Countless research proves roundabouts are more efficient. Europe has been using them forever, the US is beginning to use them more often, why not Canada? This should be self-explanatory benefit-wise and their activation must be made mandatory before crossing. Other improvements to consider including clearing all the trees near crosswalks so that pedestrians are not made harder to see by the shades. Another Vancouver specialty. They are unexpected, they are often poorly marked, and therefore they are dangerous. 50km/h in the city: makes sense. Thanks for your suggestions “Vancouverite”. Safety is our first priority over anything else, and influences our decisions on mobility. In regards to Vancouver, New West, and other communities, some roadways fall under our jurisdiction while others do not (falling to the municipality). We do hope you’ve taken the Customer Satisfaction Survey. Having said that, we’ll soon be releasing the results of the Safety and Speed Review which should be informative and address some of the topics you’ve highlighted. We’ll share on this blog as soon as it is made available. Lions Bay speed limit on highway needs review. The speed does not reflect road geometry or points of conflict, or the speed of the majority. There is no consistency with this limit, relative to other sections of the same highway with same geometry. This includes further north with an 80kmh speed limit with controlled intersection. At Lions Bay, no intersection, just exit and entrance ramp with acceleration and deceleration lanes. Thanks for your comment – we have sent it to the folks in the local area office for review. I’ll agree with you on all points except the bike lane one. Bikes should not be kept visually segregated from the road. A bike is a vehicle and can often go as fast as traffic. What about when there are parked cars, and you need to make a right turn? You can’t see a bike traveling 40 km/h until it’s too late. Union Street and Richards Street in Vancouver are good examples of this. Do not focus on where we are, but rather, where we are going. The dawn of the autonomous vehicle revolution is almost upon us. Is Vancouver/BC ready for it? More to the point; Are YOU, the average citizen, ready for it? This should be the absolute primary consideration going forward in any “10+ year plan”: not IF, but WHEN the automakers bring a safe, reliable, self-driving car to market, what will need to change on our roads? What special concessions and considerations could, or should be made? What are the social, economic, and legal implications of roadways full of self-driving cars? Insurance corporations (ICBC) entire model may need to be adapted. In theory, once established and proven, this technology could liberate drivers from numerous restrictions; with wide adoption, accident and injury statistics will be vastly reduced. Insurance on a self-driving vehicles could (should) be greatly reduced. How many lives can be saved and improved? The statistics are already demonstrate the fallibility of human drivers. How will this affect transit policing? Fewer errors = fewer infractions = fewer fines = fewer wasted police resources. Artificially reduced speed limits could be increased when the vehicle is computer controlled. Commuting times would no longer be subject reduced reaction times, and the ‘brake wave’ which creates traffic congestion. The traffic could simply flow smoothly. In a self-driving vehicle, the passengers attention could safely be directed towards our natural propensity for distractions; talking or texting, watching movies or reading a book; getting some work in during commutes, or even the social enjoyment of a few glasses of wine with dinner, or a night out at the bar. Think of the lives that will be saved, and the social revolution that this may entail. So – is BC transit ready for it? Surely you want to be hailed as ‘forward thinking’, progressive entity. Are you ready and willing to adapt with the pace of change? It is absolute folly to neglect to acknowledge the inevitable arrival and proliferation of this technology. I’m sure this has been mentioned before but I’d also like to mention it. I’ve noticed over the last number of years that line painting has gotten worse and (as in the picture on this very website) there are no or faded line markings all over the Province on highways and even in cities! I’ve noticed that the lines are smaller and narrower and poor quality paint is used as the lines don’t last long after painting. Also, reflective paint should be used as I consistently see people cross lanes at night and especially in the rain where the lines on the road are completely invisible. I’ve seen people driving in the middle of two lanes because they can’t see the lines in the rain, I don’t blame people as I have had to do this in the rain at times because the lines are impossible to see, this is extremely dangerous and puts lives at risk. The ministry takes its commitment to provide a safe, efficient transportation network very seriously, and we recognize the importance of providing clear road markings for drivers throughout the year. We spend around $11 million annually on pavement markings across the province, and our line painting contractors repaint over 25,000 kilometres of centre and lane lines every year, starting as soon as drier weather permits. As maintenance activities, such as snow plowing and winter abrasive applications, cause significant seasonal wear and tear, the work begins in the spring once the roads have been swept and continues through much of the summer. As far back as a month ago our contractors began laying fresh paint in priority areas of the province where we are sure winter maintenance activities are finished for the year, such as in the lower valley areas and along the coast. Through new contracts awarded earlier this year, our Ministry staff will have the ability to direct our pavement marking contractors to apply thicker paint in areas that see greater wear, such as on the inside corners of high-use routes, as an additional way to improve durability. Although federal environmental regulations have required us to move away from the resilient acrylic paints we’ve used in the past, our staff and our contractors are currently testing new types of paint and pavement marking technologies to identify options that are both long lasting and environmentally safe. In addition, we are testing products known as inlaid durables, which are designed to withstand wear and remain visible throughout the year. Shoulder and centre-line rumble strips have also been installed on many major routes as an alternative providing additional visual delineation, as well as audible and tactile warnings when motorists begin to cross road lines. Again, thanks for sharing your concerns. I hope this addressed your comment. Unacceptable. There are roads that do not get any plowing and are still lacking in proper line marking. These new paints are not acceptable. What is the point of using low VOC paints when they need to be re-painted every year? How many people will die before the Ministry installs countersunk reflectors on roads that are plower in the winter? What about the roads that are rarely plowed such as those in the Lower Mainland and even most of the Sea to Sky? It’s winter in the Lower Mainland, which means another 6 months of invisible lane markings at night and in the rain. I don’t know when this became acceptable. Driving home on Hwy 11 between Abbotsford and Mission, it was not only impossible to see the lane markings, the medians were invisible too. I understand federal regulations mean proper durable paints can’t be used – presumably to preserve the health and safety of people who lick the road surface. Perhaps a study should be undertaken to compare the risks of VOCs compared to head-on collisions at 120 km/h. I also understand that BC is ‘studying the problem’ by testing paints. Did you first try to look to other jurisdictions that have already been through this fiasco, and already found a solution? Thanks for your comment. Since the introduction of new federal environmental regulations to reduce the use Volatile Organic Compounds (VOC’s) in 2010, all Provincial Transportation agencies have moved away from the use of acrylic paints. Newer paint formulations are more environmentally friendly as the elimination of the toluene acetone, methylene chloride and other organic materials have been replaced mostly by water. The remaining (solid) components of paint remain the same as with the previous formulations. We do recognise that there are challenges retaining pavement markings especially in parts of the province that experience extreme winter conditions and winter maintenance. •	carbide steel edged plough blades for winter snow plowing to a black pavement during winter conditions is perhaps more likely the reason for the loss of road markings than any other factor. The problem of pavement markings retention is not excusive to British Columbia. We have been working with our partner jurisdictions of Alaska, Alberta, Washington State & Idaho to resolve the issues around painted line durability. Each of these transportation agencies shares materials research and we also share and use each other’s paint formulations. We have worked with other Canadian transportation agencies in Saskatchewan & Quebec who follow the same Canadian materials regulations. Recently we have been working with our line marking contractors to trial new paints that are able to be placed at thicker application rates and carry larger more reflective glass beads. We expect the results of these trials to be available next spring. Having said that, we will always have areas where the conditions are so harsh that no currently known markings can be retained though a winter season. The best option in the more difficult environments is to switch to more durable road marking products such as thermoplastics, MMA (methyl methacrylate) and plastic polymers and these materials or pavement marking products can cost more than eight times the cost of paint. We have embarked on using these types of more durable pavement markings as budgets permits (currently about $2 million annually) in high traffic areas like the lower mainland and lower Vancouver Island where conditions of less snow and more rainy type of weather prevail. We hope that this answers your question. If you have any other concerns, please let us know. In addition to the problem invisible lane markings, the many concrete “islands” and lane dividers need to be painted to increase visibility. Try driving down Arbutus St between W 33 and W 16 ave in the rain at night…it’s a vast swathe of darkness you are driving across…no lane markings, flashing green lights that add to the glare, and dark, invisible concrete lane dividers/islands standing tall and ready to ruin your car.